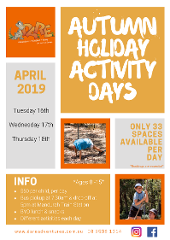 The Ultimate Activity Days! With a range of activities included, every day is different. All you need to do is make sure the kids have their bag packed and ready to go and we'll take care of the rest.